China’s systematic and state-sanctioned organ harvesting from prisoners of conscience has been condemned by the Georgia state government. 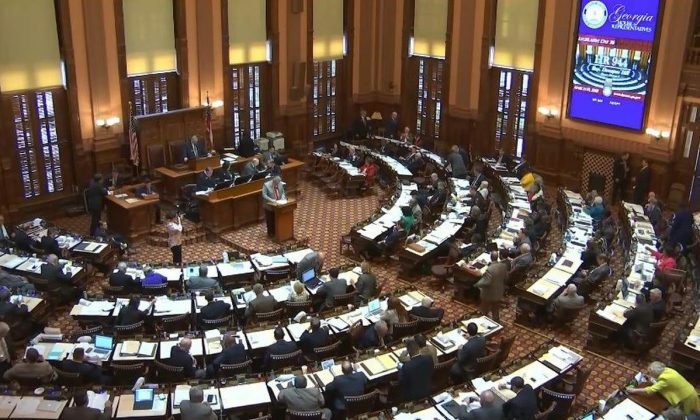 Georgia’s lower House of Representatives unanimously passed House Resolution 944 on March 19, to express concerns over forced organ harvesting in China. In 1999, the former leader of the Communist Party, Jiang Zemin, began a nationwide persecution of the Falun Gong spiritual practice, a meditation discipline based on the moral principles of truthfulness, compassion, and tolerance. Between 70 and 100 million Chinese practiced the discipline in the late 1990s, according to official and Falun Gong estimates. By 2000, the number of organ transplants in China began to explode. Transplant centers were established, new surgeons were trained, and Chinese hospitals began advertising waiting times for vital organs of only a few weeks. Heart transplant recipients were told the exact time their new organ would be ready—impossible if not timed around an execution, independent researchers concluded. According to one of these new reports, “Bloody Harvest/The Slaughter: An Update,” most of those killed for their organs are Falun Gong practitioners. The resolution was sponsored by 19 representatives including Dewayne Hill (R), Bill McGowan (D), Wendell Willard (R), and Brooks Coleman (R). It passed with 156 favorable votes and zero objections. It called on the Chinese regime to end immediately the practice of forced organ harvesting from all prisoners, especially Falun Gong practitioners and other minority groups. It also stated no country should allow its people to travel to China for transplants before the entire industry is transparent and fully investigated. Other states have passed similar resolutions in recent years. Last month, the Arizona state House of Representatives passed a resolution opposing organ harvesting in China. On June 13, 2016, the federal House of Representatives passed House Resolution 343 (H.Res.343) unanimously. The resolution expressed concerns over China’s organ harvesting from non-consenting prisoners of conscience. That same day, the U.S. House of Representatives also passed H.R.3694, the Strategy To Oppose Predatory Organ Trafficking Act, which calls on the Department of State to address and prevent organ trafficking. In May 2016, the Minnesota State Senate passed Resolution SF 2090 opposing organ harvesting unanimously. And back in 2006, when evidence of China’s state-sanctioned organ harvesting was just coalescing, the Illinois State House of Representatives passed a resolution to condemn the Chinese regime. In April that year, both the Colorado State Senate and House of Representatives passed a joint resolution 06-027—just ahead of former Chinese Communist Party leader Hu Jintao’s visit to the United States—that condemned the Chinese regime’s organ harvesting.